Dance has been a core part of Nepali culture, through its diverse peoples and cultural traditions from the earliest of times. 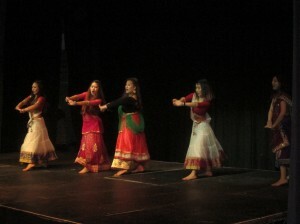 Almost all of its festivals, of great social, cultural and religious-spiritual importance, feature dance to greater or lesser extents, and in many cases the dance elements of these constitute key features of the given festival, being a means — along with songs and singing — of participators being directly involved in the spiritual, social and religious purposes of the festival. In contemporary Nepal however, Dance extends increasingly beyond its long-established place in festivals and traditional cultural social activity and community-wide interaction.